Well, it was fun while it lasted, all 11 days of it. 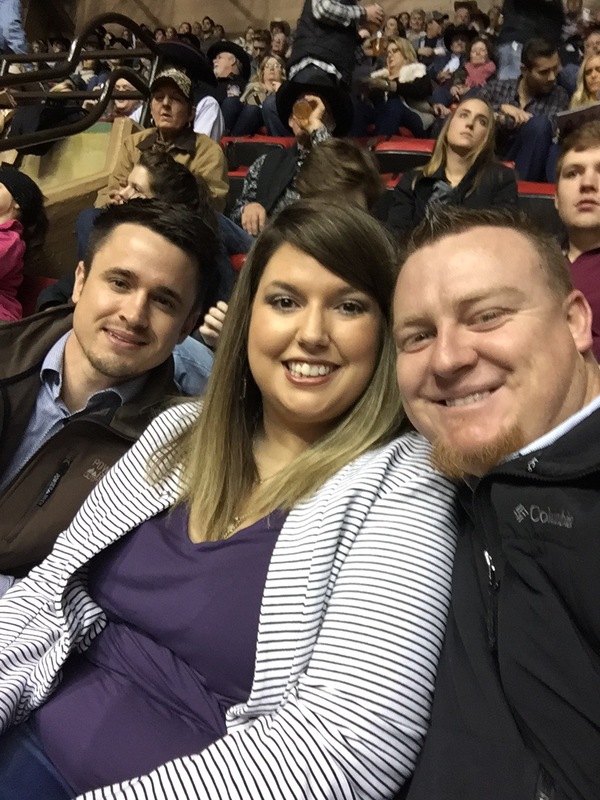 I spent Saturday night at the rodeo with two of my favorite guys and nothing goes better with a Texas sized corn dog than a cold beer. (later followed by vodka but who’s counting?) Cheers to a fun night, good looking men, and living life. I think it’s worth mentioning, especially from an educating perspective, that the concern when combining alcohol with a fatal disease that attacks muscle control is: balance. I have the balance and body control of a baby giraffe, and the inherited grace of my Grandma Houston so on a good day I look like I’m “at least a few drinks in” to the innocent bystander. ALS is a really malicious disease, and recently it’s focusing its attention on the muscles I use to walk and get around on my own. My legs are strong, so my muscle memory is screaming “one foot in front of the other” while my brain is telling the rest of my body to “brace for impact” as this bull enters the china store every time I stand up. It’s a fun game, one that exhausts me daily and forces planning with every trip away from my seat whether it’s at my desk or recliner. Katie, my OT, repeats this mantra every time I see her: Maximizing efficiency while minimizing exertion. It’s a daily struggle, but it’s not about winning the battle, I’m here to win the war. I love you…baby giraffe balance and all. That’s all I’ve got.